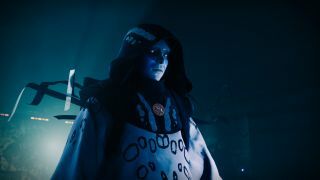 Outside the loop of Gambit Prime and The Reckoning, the main activities in Destiny 2's Joker's Wild DLC are are the ongoing Allegiance quests and Xur's new bounties called the Invitations of the Nine. A new Invitation is available from Xur every week - per character, that is - and completing it unlocks new lore and story content related to the Drifter's past and his ties to the Nine. There are nine bounties in total, meaning the storyline will continue through June. We'll update this guide with new Destiny 2 Invitations of the Nine every week. Thus far, all of them require you to complete a Strike and collect samples by killing enemies. The bounties say you need to kill those enemies on a specific planet, but players have found that killing the correct enemies virtually anywhere works just as well. So if you're having a hard time finding certain enemies on the specified planet, just head to a more populated location or activity. However, it's unclear if this is a bug and how long it will be available, so if you find that you aren't earning any samples outside the assigned planet, head back and do it the old-fashioned way. As a reminder, to be eligible for the next Invitation, you'll need to complete the current one by the Thursday reset. With that said, here are all the current Invitations. Complete the Lake of Shadows Strike in the EDZ. Kill Cabal, Fallen, and Taken to collect samples. Complete the Savathun's Song Strike on Titan. Kill Hive and Fallen to collect samples. Complete the Inverted Spire Strike on Nessus. Kill Vex, Cabal, and Fallen to collect samples. Complete the Pyramidion Strike on Io. Kill Cabal, Taken, and Vex to collect samples. Complete A Garden World Strike on Mercury. Kill Cabal, Hive, and Vex to collect samples. Complete the Strange Terrain Strike on Mars. Kill Cabal and Hive to collect samples.